Swig Hip Flasks- So as not to bore our loyal followers, we have branched out this month into a new category….Portability ! Our activity level has increased markedly over the last few weeks or so and this uber cool product could be your new best friend . It is impractical to pack your favorite single malt bottle while on an adventure so here is your solution. This beautifully crafted container will keep your liquid gold safe and impress your friends when you bring it out of your backpack. It holds enough to share and if you choose wisely, adds flair and style to your event. 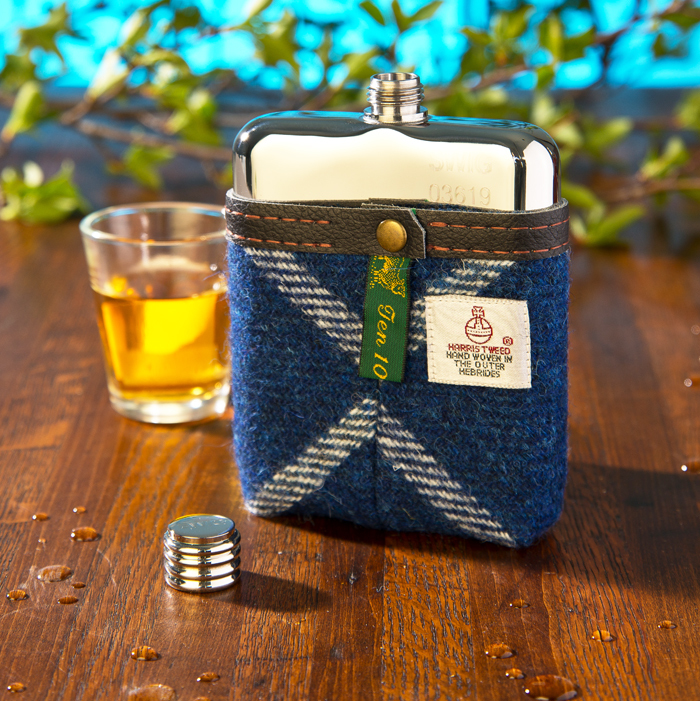 The company is based in the UK and offers many interesting options for the snob in all of us, engraving, leather, gift sets, harris tweed, go for the works ! This is truly a modern spin on artisan craftsmanship.